‘IDEMITSU Honda Racing India’ by T Pro Ten10, the only Indian team to participate in Asia Road racing championship in Thailand is once again ready to showcase its mettle in the final round of FIM Asia Road Racing Championship this weekend at the Chang International Circuit. 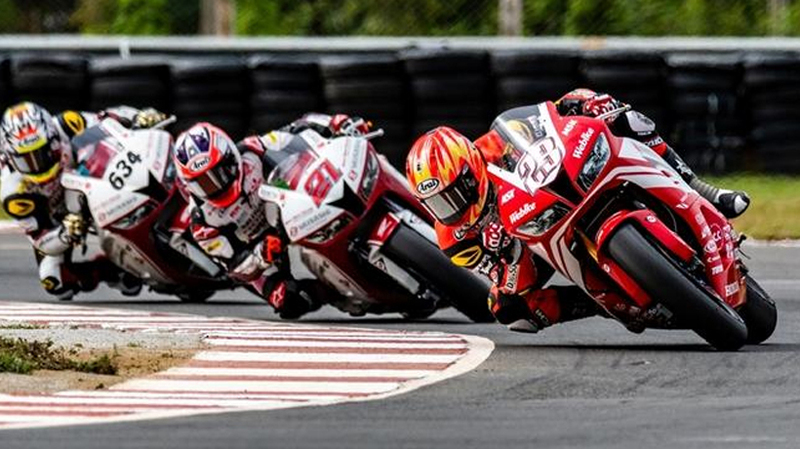 Showcasing their skills in the last 5 rounds of ARRC 2018 season, the ‘IDEMITSU Honda Racing India’ team’ ready for the final round of ARRC in Thailand. Seventeen-year-old rider Senthil Kumar along with Rajiv Sethu will also be putting up their best efforts in the concluding round of Honda’s Asian rider development platform – Honda Thai Talent Cup at Chang International circuit in Buriram on NSF 250 machine. Keeping a steady performance, Japanese team-mate, Taiga Hada (#23) will be a tough competition for his opponents in the SuperSport 600cc (SS 600) class. Both the Indian riders – Rajiv Sethu (#80) and Anish Shetty (#81) will compete in the Asia Production 250cc (AP250) class.